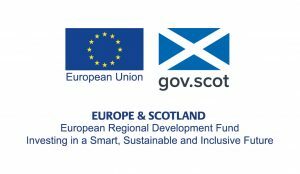 A call for applications to an £18 million Circular Economy Investment Fund brought together people from across the building, demolition, waste processing and glass industries on 24 October 2017. The workshop, organised by British Glass and Zero Waste Scotland, explored how flat glass recycling can be increased to support material efficiency and reduce CO2 emissions and energy use. It is estimated that in Scotland only around a third of waste flat glass is recycled. Although glass can be re-melted indefinitely, most glazing, refurbishment and demolition glass waste ends up as aggregate, if it avoids landfill. But if this glass was used to make new glass products far more energy and carbon dioxide would be saved: every tonne of glass that goes back to re-melt saves energy and around 246kg of carbon dioxide (compared to using virgin raw materials). Innovative technologies or practices to significantly improve the business case for collecting and recycling flat glass. As part of the day, Chris Holcroft of GTS and Valli Murthy of British Glass gave a presentation on the markets for flat glass waste – which can be used in a wide range of glass products (not just flat glass, but also bottles, jars, ballotini and fibre glass) as well as cement and concrete. They explained the importance of maintaining the quality of waste glass for recycling (called cullet) and the types of contamination that need to be avoided. The Vlakglass foundation also presented a case study from the Netherlands, a nationwide scheme which collected more than 70,000 tonnes of glass for re-melt in 2016 – enough to fill ten 25 m swimming pools. This event was part of the FISSAC project, in the framework of the Living Labs organised in the UK. If you want to get involved to help British Glass with increasing flat glass recycling or would like to know more, please contact Valli Murthy (v.murthy-at-britglass.co.uk).